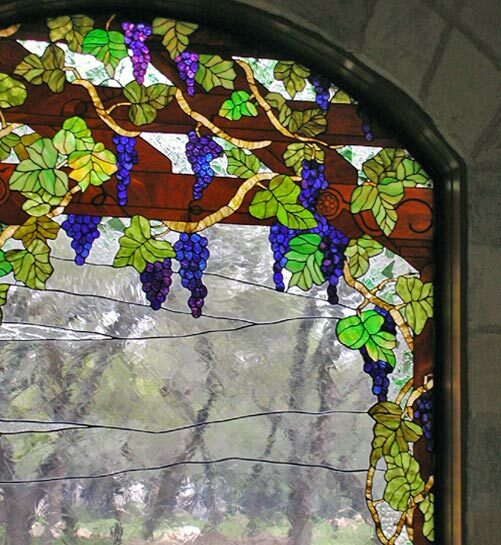 "KEYS PANEL" CUSTOM STAIRWELL STAINED GLASS GRAPES WINDOW CREATED BY JACK McCOY©. 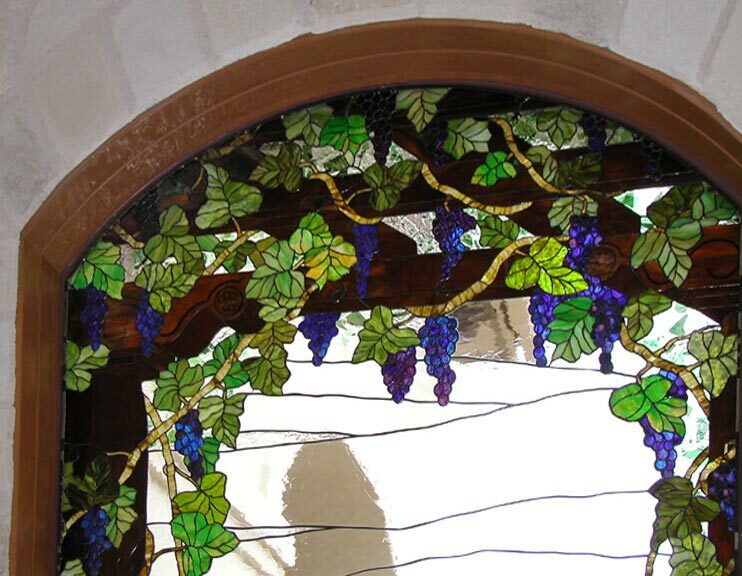 The border was leaded and the center design was copper foil construction. 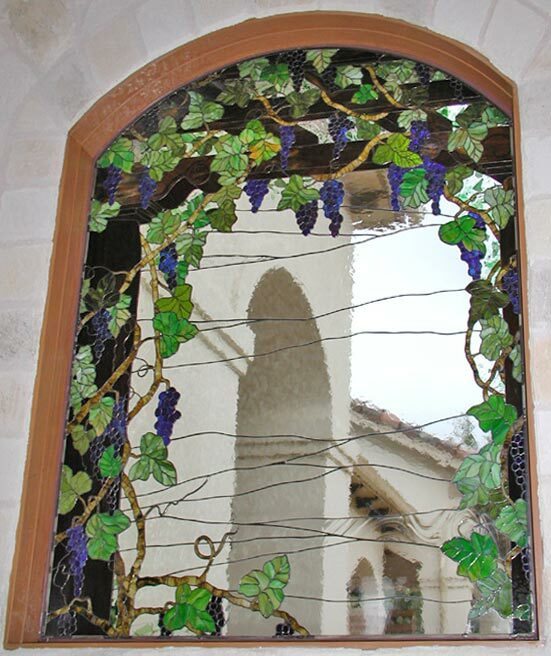 This custom stained glass grapes window was 44" x 56". 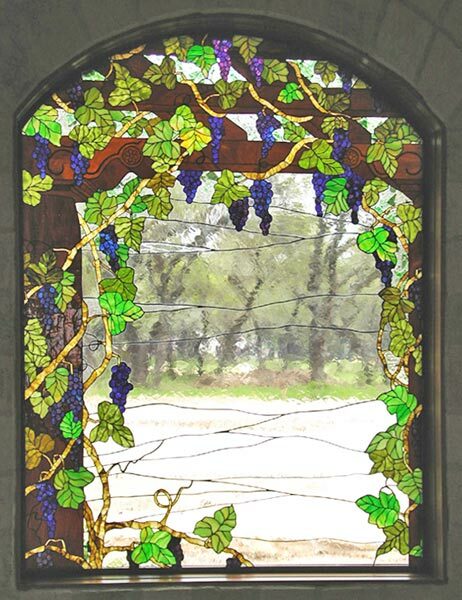 Another custom stained and leaded glass grapes window masterpiece by Jack McCoy© for a private residence in Llano County, Texas.